The photos came from Japan, during a closed demonstration of the novelty. New Jimny will leave own angular forms, a 3-door body, round headlamps and a different radiator. The SUV's differs from its past performance in short overhangs in front and behind. The engine compartment will consist of a 3-cylinder 660cc engine with 54 "horses", motors 1.0 and 1.2, which will be supplied with a compact electric unit (mild hybrid). 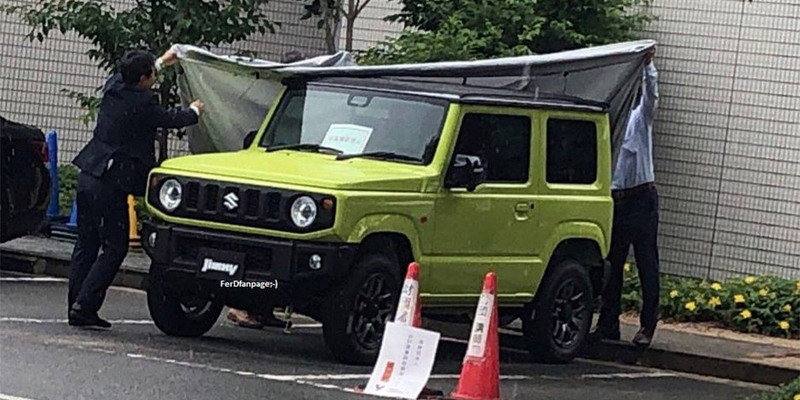 Premier of the new Suzuki Jimny is expected in near future.